Transactions may be restricted by Card type, individual usage patterns and payment risk profiles. For anti-money laundering and anti-fraud reasons We reserve Our rights to change particular payment restrictions (including from those in the Fees and Limits Sheet) without notice and to the extent required to meet Regulations. You can use Your Account and Cards up to the amount of the Available Balance for Transactions at Merchants of the relevant Card Scheme. If the Available Balance is insufficient to pay for a Transaction, some Merchants will not permit You to combine use of an Account or Cards with other payment methods. If You have applied for and been granted a physical Card associated with Your Account it can (subject to the Issuer's terms) be used to make cash withdrawals from ATMs and banks who agree to provide this service (subject to any maximum set by the relevant ATM operator or bank). The value of each Transaction and the amount of any Fees will be deducted from the Available Balance. We will not send You a paper statement regarding Your Account and Transactions. You can check Your Available Balance and Transaction history at any time by logging on to Your Account. In order to protect You and Us from fraud, Merchants (and ATM operators if relevant) will seek Authorisation before processing any Transaction. If they are unable to get an Authorisation, they may not be able to proceed with Your Transaction. Once a Transaction that has been initiated has been Authorised it cannot then be abandoned or withdrawn. We may refuse to accept any use of the Payment Services or Entropay Services which could breach these terms and conditions or if We have reasonable grounds for suspecting that You or any third party has committed or are planning to commit fraud or any other illegal or un-permitted use of the Payment Services or Entropay Services. Your ability to use or access the Services may occasionally be interrupted, for example if We need to carry out maintenance on our systems or websites. Please contact Our customer services via Our website ('Customer Services') to notify Us of any problems You are experiencing using Your Card or Account and We will endeavour to resolve any problem. If enabled, You will have the option to transfer your Available Balance from Your Account or Cards to other Accounts or Cards. If You instruct us to make a transfer from Your Account to another account, the requested amount will be debited from Your Account and credited to the account you have instructed us to transfer your Available Balance to. You may incur an Account Transfer Fee for this transaction. 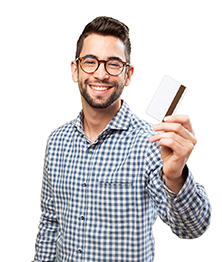 In a few conditions We or the Merchant may expect You to have an Available Balance in abundance of the Transaction sum (for instance, auto employ organizations may require there to be a more noteworthy Available Balance on your Card than the estimation of their bill to take into consideration any refueling charge). In a few conditions Merchants may require confirmation that Your Available Balance will cover the Transaction sum and will then start a hold to the estimation of the Transaction on the Available Balance (for instance lodging reservations). In the occasion a Merchant puts a 'pre-authorisation' on Your Account, You won't approach this sum until the point that the Transaction is finished or discharged by the Merchant which may take up to 30 days. A few Merchants may not acknowledge installment utilizing Our Accounts or Cards. It is Your obligation to check with every Merchant what it's arrangement is. We acknowledge no risk if a Merchant declines to acknowledge installment utilizing Our Services. A Transaction shall be considered to be unauthorised if You have not given Your consent for the Transaction to be made. If You believe that a Transaction has been made without Your consent You should contact Us in accordance with the directions on Our website. If you are not satisfied with the outcome of Your claim for a refund or the justification provided for refusing the refund You may submit a complaint to Us in accordance with Our online complaints policy or contact the complaints authority as described on the website of the Issuer.